Release date 11 November 2011. 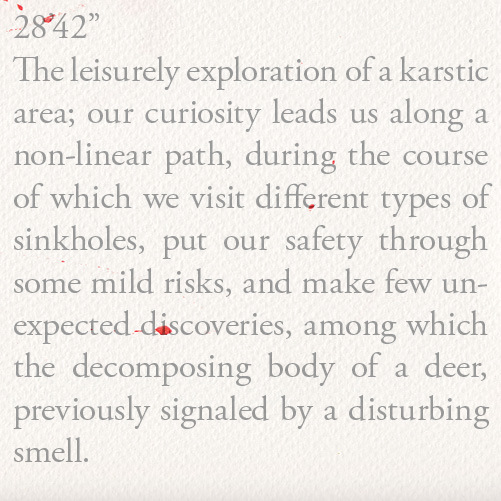 The leisurely exploration of a karstic area; our curiosity leads us along a non-linear path, during the course of which we visit different types of sinkholes, put our safety through some mild risks, and make few unexpected discoveries, among which the decomposing body of a deer, previously signaled by a disturbing smell. 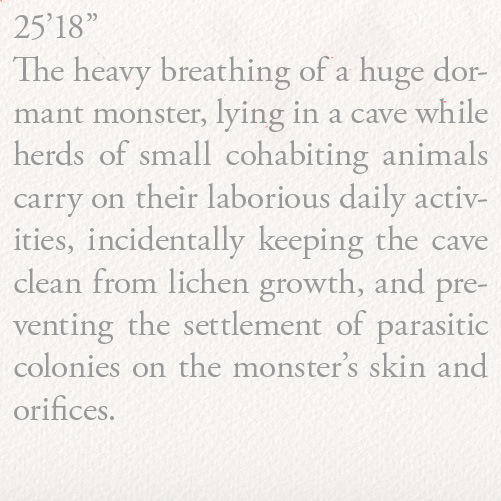 The heavy breathing of a huge dormant monster, lying in a cave while herds of small cohabiting animals carry on their laborious daily activities, incidentally keeping the cave clean from lichen growth, and preventing the settlment of parasitic colonies on the monster’s skin and horifices. Design by Maurizio Ravalico and Isambard Khroustaliov. 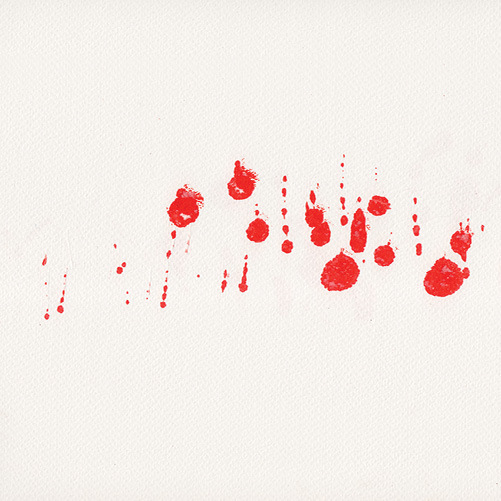 Recorded live in Berlin on September 2nd and 3th 2010, during the Not Applicable Artists Festival of Experimental Music and Film. Mastered by Isambard Khroustaliov at Trouble Studios, London. "The frivolity of the titles, as ever, belies a seriousness of approach, and across these unusual sonic terrains I find enough moments here of intelligent interaction, close encounters if you will, to make this a most unearthly pleasure." Scott McMillan – The Liminal. ‘The Resurfacing of an Atavistic Trait’ is the second album from the Isambard Khroustaliov / Maurizio Ravalico duo. 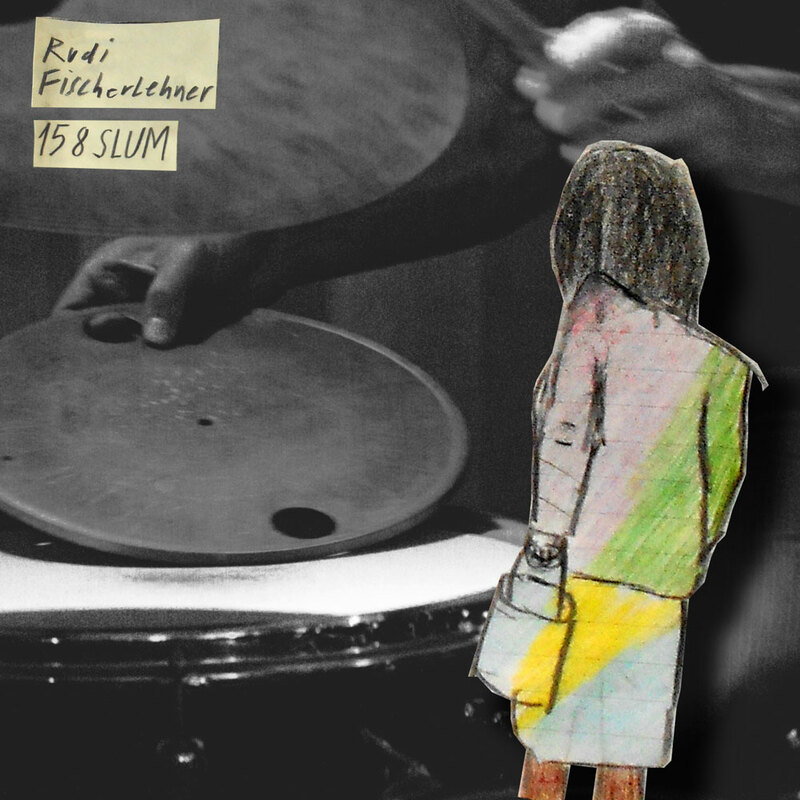 It comes five years after the release of their first work, ‘Five Loose Plans‘, the album that marked the beginning of their friendship and artistic collaboration, and was in fact, the documentation of their very first recorded session; three days spent in a studio, interrogating techniques and sonic territories that, back then, were new to both of them. 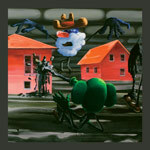 During the following five years, the seeds sown during those first sessions were to form the basis of an open-ended, ongoing dialog, the fruits of which are to be seen in many projects and collaborations where Isambard and Maurizio appear both together and individually in different and often wider contexts. Many of these are documented in the Not Applicable catalogue; others found their outlet elsewhere. 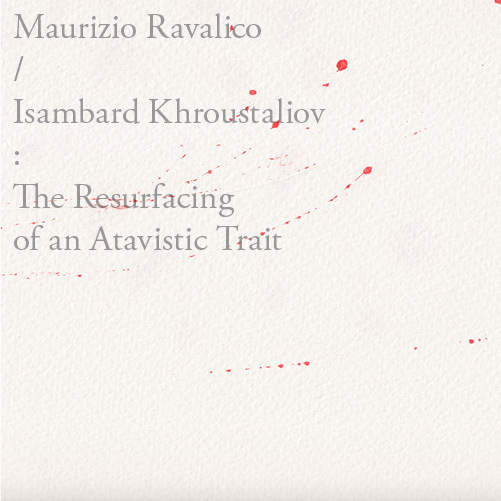 With ‘The Resurfacing of an Atavistic Trait’, Maurizio Ravalico and Isambard Khroustaliov return to their initial format as a duo, to resurvey the material that sparked their curiosity in the first instance. 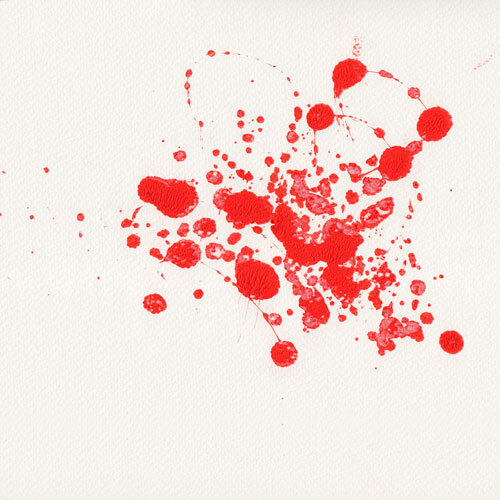 The evolution of this material is clearly discernible, despite the fact that it traces new and very different paths, eschewing to a certain degree the idea of fusing so concretely the percussion and electronics and therefore allowing the music to be infused with a narrative and poetic element that was only hinted at in ‘Five Loose Plans‘. 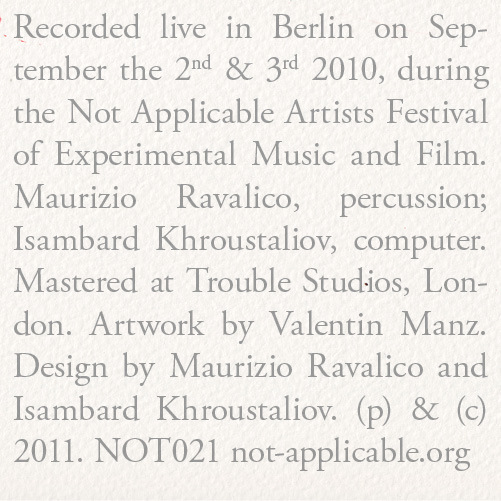 The two half-hour long tracks on ‘The Resurfacing of an Atavistic Trait’ were recorded over the course of two live concerts, held in Berlin during the Not Applicable Artists Festival 2011; they are not improvisations, but planned traverses that are nonetheless filled with the chance occurrences that populate performance environments. 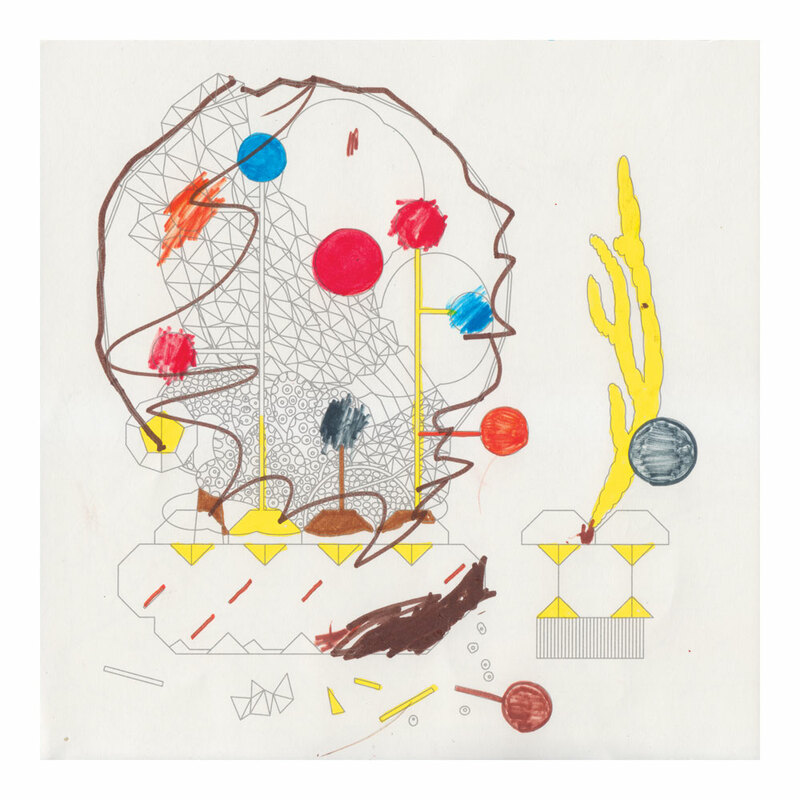 In keeping with the spirit of this circumstantial paradigm both the tableaux that function as titles for the two tracks and the artwork by Valentin Manz are not intended to be in any way either guides for the listener or impressions of the pieces. All three elements should be considered as separate but parallel entities, each entering into a related spirit of evocation whilst retaining an originality of purpose.